It's time for your law firm to abandon PDFs. Why? Because they are killing your Google rankings and shutting off a potentially large source of website traffic (and new business). 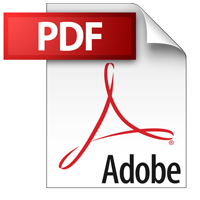 Many law firm websites are packed with PDFs. In fact, some law firms post ALL of their "thought leadership" content (like articles, case studies, newsletters) in PDF format. These are often the meatiest content on their websites. Unfortunately, much of the PDF content out there is practically invisible to Google and other search engines. The good news is that converting PDFs into HTML pages solves this problem. While this process can be time consuming, the potential payoff is huge, because you will be opening your website to an entirely new channel of high-quality website traffic. How is this? Because of Long Tail SEO. "impact of 2010 financial reform act on credit unions"
The best way to enable Long Tail SEO is by adding lots of high-quality content to your website (such as articles, blog posts and case studies) in HTML format. All of this content acts as bait for Google. However, this bait doesn't work well in PDF. What I like most about Long Tail SEO is that it doesn't require an SEO consultant. The content you add to your website is inherently optimized for these long tail searches, as long as it's reasonably long and rich in detail. While you will also want to make some basic code tweaks to your website so that your newly added text content is more Google-friendly, these SEO techniques are far from rocket science and can be implemented by any decent web programmer. However, the first step is simple — abandon the PDFs! Really interesting post: I suspect the preponderance of the idea that .pdf files keep content protected is perhaps one cause. In fact, much of the content can still be copied anyway because the authors have not used any security functionality (not considering the ability to crack .pdfs anyway) and in reality, there’s probably very little that’s proprietary in there anyway. An interesting post indeed. But I must ask, if Google is capable of indexing PDFs, why are you recommending getting rid of them? Good question Janine. It’s true that Google is capable of indexing PDFs. That said, PDFs need to be created with special SEO settings in order for Google to index the PDF and consider it as substantive information that should be given appropriate weight in the search result rankings, which is not the simplest of tasks (here’s a great article that outlines what needs to be done for PDF search engine optimization: http://www.seoconsultants.com/pdf/seo). Combined with the fact that information in HTML format is more accessible and user friendly, it’s in your website visitor’s best interests to present information to them as actual webpages rather than the more cumbersome PDF. I love the long tail. One of the least understood, least appreciated “secrets” of social media marketing. Basically, it’s your content paying an annuity. I hope you’ll do a follow-up post expanding on the coding tweaks, and the importance of the keyword and tagging strategies that animate them. Thought you might enjoy this case study on the serendipity of the long tail http://shatterbox.wordpress.com/2010/08/10/lindsay-lohan-has-a-long-tail/. “It’s your content paying an annuity.” What a great way to describe the value of having the content in HTML rather than PDF! Also, your Lindsay Lohan post is great. The Long Tail is a mysterious thing… Thanks for sharing. Abandoning the PDFs has got to be a good idea for sure….but for dull old HTML? As mentioned above, Google does a pretty good job of crawling and indexing PDF’s. I think the bigger issue with regard to publishing PDF’s on your website is the poor user experience they offer, compared to HTML content. When users browse a website they expect to be able to consume the content on the site without downloading any files (ie: PDF’s). They expect it because it’s the standard. A PDF takes more time to download than an equivalent HTML web pages does (which slows down the user experience), plus users aren’t able to navigate PDF’s like they are web content (inconsistent user experience). Poor user experience leads to less time spent on your site and ultimately less of a chance that an individual will contact you via your site. If user-to-customer conversion is the ultimate goal of your website, then avoid PDF’s. As an SEO consultant I applaud the focus on long tail. But the biggest advantage to be gained from moving from PDF to HTML content is an improvement in user experience. I totally agree about moving from PDF to HTML. But there’s still some role for PDFs, primarily in providing printer-ready documents with a clean format, especially where there are graphics incorporated. My preferred approach is to still use HTML, but then embed a PDF viewing document using Scribd.